How to Answer in 2019: What Are Your Salary Expectations? The salary is important. Of course, it is great to have a job that we love, job that brings value to other people, job that we enjoy doing. But at the end of the day we have to pay our bills, and nobody (or nearly no one) would go to work, if they did not get paid for doing that. So, what are your salary expectations? Whether the employer mentions the salary offer on a job description or not (in some countries companies have a legal obligation to advertise the salary offer on a job description). Whether you apply for a job in a company, or with a recruitment agency that can actually allocate you to various places or companies. Whether the interviewers ask about your salary expectations in the first (screening) interview, or at the end of the second interview, or even in the final interview. Whether you apply for a simple manual labor, a managerial role, or perhaps a highly technical job. Whether you apply for a role that is special in the company, or role many other people have, and will have (think entry level jobs). Whether many people compete with you for the position, or you are the only candidate they interview. This is the simple formula you can follow in the interviews. 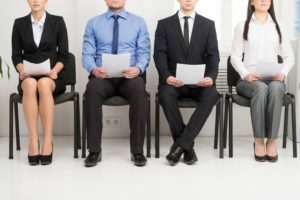 For example, if you apply for a manual labor (think fruit picking, assembly line, cashier, stock clerk, construction worker, waiter), or for one of the popular jobs (administrative assistant, secretary, pharmacist, receptionist, etc), the employers won’t feel any pressure to hire you--even if they like you. Why? Because they will always have another applicants to hire. There will always be someone to interview, someone to get on board. Oppositely, if you offer a unique skill or knowledge, or if you apply for a job nobody else want to get, simply if you are their only option, or one of the very few options, you can definitely ask for more money. It is much easier to negotiate a better salary in this scenario, simply becasue you have a greater negotiation power. If you apply for a job in an agency (that leases workers to various companies, or perhaps even to other agencies), you can say anything–any number, but remember that if you aim too high, they may not find any offer for you. They may try, but none of their clients will be ready to pay that much, unless the situation on the job market forces them to do so. Another thing to consider is whether you talk to a decision maker in an interview, or to an ordinary John from the HR department. An HR generalist, or trainee recruiter, can hardly offer you more money–they are not authorized to make such an offer. Oppositely, if you already passed two interviews, and find yourself talking to a high executive from the company (CEO, CTO, CFO, you name it), you can have higher expectations, and you can show them. If the employer invited you for the final interview, it means that they seriously consider hiring you. As you can see, this question requires some analysis from your side. Analyze the situation, think about your negotiation power, and decide how much money you can ask from them. A safe way is to emphasize that salary is not a deciding factor for you (even if it is). In such a case you should stress that you really want the job, and will accept whatever they offer to their new hires (remember that you can still refuse their offer once they share it with you, or try to negotiate a better contract conditions). You can elaborate on such an answer, citing how much do workers on the position earn in average (you can find the information on many websites, for example on indeed.com website), and say that you will be happy getting the average salary in the industry. You can also mention some benefits (company car, laptop, mobile phone), but be sure to check if they are standard for the position you try to get. Looking greedy and self-centered is the worst impression you can make in an interview, unless you apply for a job in sales–especially in some form aggressive selling, such as investment brokers do. In this case, and only in this case, your greed and selfishness can be considered an advantage. If you say a number, you should have something to back it up. The paycheck from your former employer, the statistics from a website that collects data of average salaries for various jobs, etc. Most often than not, you will find a salary range on the job offer. If they write from $30,000 to $35,000 annually, you should not ask for more than $35,000. In an exceptional case (when you apply for a specialist job), you can add ten or twenty percent to their offer ($35,000 + 10%). As I already said, you should analyze the situation and assess your negotiation power. The more they want or need you, the more you can ask for. Why should we hire you? – Learn how to identify the value you can bring to the company, and how to demonstrate it in your interview. According to statistics and number of google monthly searches, no other question attracts as much attention as this one. What motivates you in work? Motivation of job candidates is often the deciding factor, especially in the interviews for entry level jobs and for manual labor. Learn how to handle the question with ease.